How Can I Listen To The Podcasts? 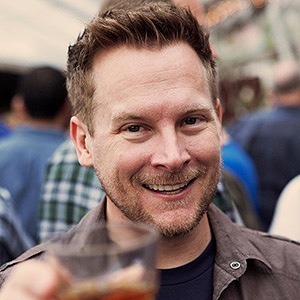 A special Celebrity Edition of Voices of Texas, with my guest Brian Brushwood, internet & television personality. Brian hosts several podcasts and YouTube shows like Scam School, Weird Things, and Night Attack, in addition to hosting the television series Hacking the System on the National Geographic Channel. 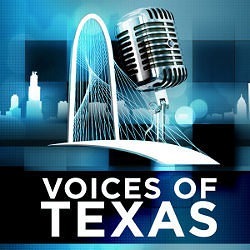 Join us for this very special Voices of Texas! I am a mid-western guy and this show makes me proud of Texas! I may not have been born in Texas, but I got here as soon as I could because Texas is full of amazing people doing and creating amazing things! Matthew Hinman is definitely capturing all the good going on in Texas and with his smooth, warm voice, he's so easy to listen to and if you don't watch out, you'll be drawn in so much that you'll be sorry when the episode is over. Good thing there is always another one coming! Keep up the great work Matthew! It’s always inspiring and refreshing to hear the stories of amazing change-makers and how they’re making a dent in this universe. As a transplant to Texas who’s lived here for many years now, I find Matthew’s concept for this podcast intriguing. I enjoyed hearing about his first guest’s experiences in Joplin and in Texas, and look forward to hearing future episodes with more of “the most interesting Texans you’ve never heard of.” Great job, Matthew!